Unless you understand the cavity, you will not fully understand the filling. Dentists use the term restoration when speaking about fillings because the goal is to restore the tooth to it’s original form and function. A cavity is formed by tooth decay. Tooth decay is created when the bacterial content in the mouth alters the oral environment. The acidity in the environment pulls the minerals out of the tooth structure. As a result of this, the tooth is weakened and eventually breaks down. It is called “tooth decay” and that is a great description of the problem. If neglected, the lesion will spread into deeper layers of the tooth and eventually into the pulp which kills the tooth. The decayed tooth structure in the cavity is removed completely by the dentist then filled with a dental composite or porcelain material. At Weldon General & Cosmetic Dentistry, we provide mercury free fillings that when completed can be indistinguishable from the natural healthy tooth structure. Made of porcelain or composite resin, they fill a cavity and prevent its spread throughout the tooth. This material is strong and long lasting. They’re perfect for new cavities and to replace old damaged silver fillings, which are unattractive and can corrode/break over time, exposing you to dangerous mercury ingestion. It is important to note that a restoration does not ever entirely restore the structure of the tooth to the ideal levels. 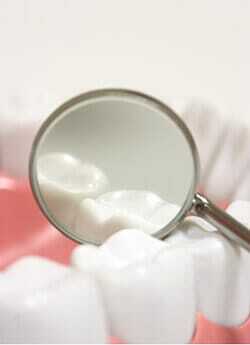 No restorative material can ever be as good as the original tooth. This said, we highly encourage preventative care rather than restorative care. Our goal is to protect the original tooth structure before problems arise. We are dedicated to promoting oral health to the residents of Ocala and surrounding communities. If at any point you would like to discuss the best ways to prevent dental decay, we would love to meet with you. Feel free to contact us electronically or call us at (352) 622-3236.